First, I am always trying to conserve energy and recover. This makes sense on a route when you need to execute moves efficiently in order to have enough gas when you reach difficult moves further up the route. This also applies to onsighting, when you don’t know if or when the next rest hold will offer some relief. I believe that subconsciously I have taught myself to rest and chalk on any sort of decent hold, even if I can only pause for a moment. While the root of the logic makes sense, I think I have taken it too far. I chalk on nearly every hold of a route. This is completely unnecessary. It wastes energy and provides an explanation for why my skin looks like a dehydrated alligator. This “strategy” is even more useless in bouldering. 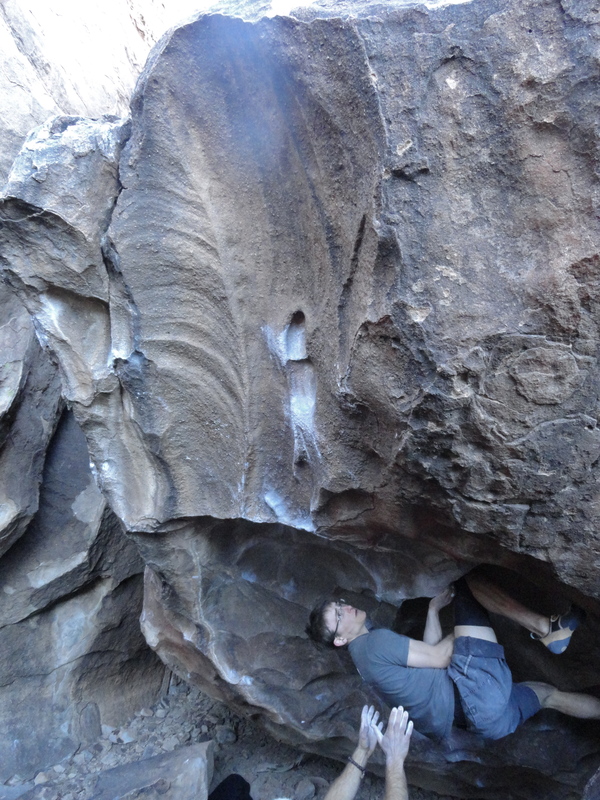 In Hueco, I wore my chalk bag on every single boulder. I probably used it en route about twice. 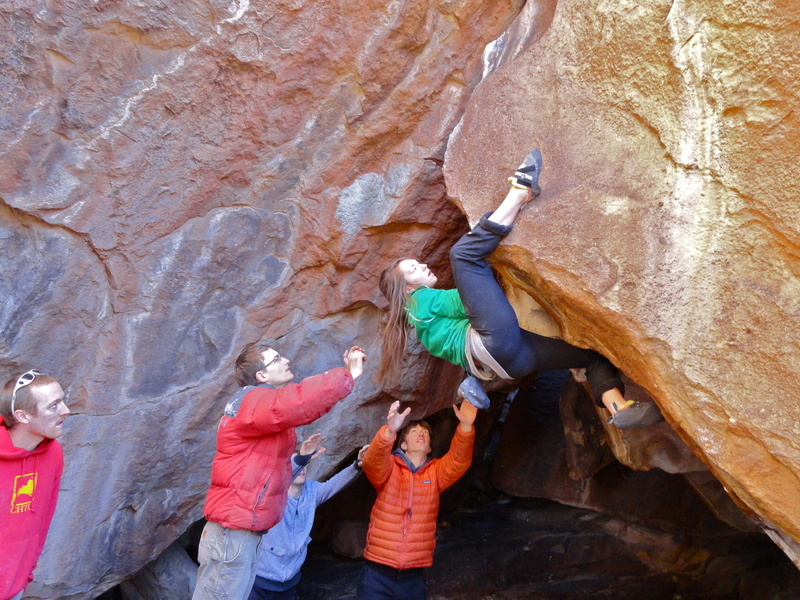 The essence of bouldering lies in dispatching the most difficult moves your body can handle. Thus, pausing to chalk and rest is not plausible. Also, boulders are shorter than routes and therefore do not require shaking out. Lesson: Rest less and don’t worry about conserving energy for the down climb. While on the subject of climbing quickly, lets talk about that. Although in real life I like to move fast and can’t sit still for very long, I tend to climb rather slowly. I’m not a dynamic climber, I’m horrible at jumping, and so I like to think about each move, get my feet up high, and lock off. I also try to control my body swing, another inefficiency. Who would have thought that you could use your swing to propel you to the next hold? As far as I’m concerned, when my feet cut, I’m off. 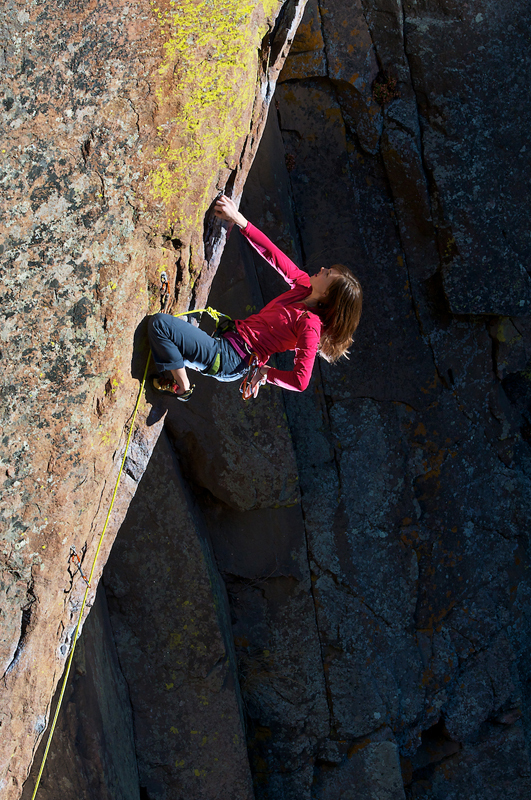 Conversely, bouldering seems to frequently require cutting your feet and swinging to the next hold. This means you can’t pause at each hold, but instead have to move fluidly, using your momentum to surf from hold to hold. I find this difficult as well. Next, the process of working a boulder is much different from that of a route. Yes, shocking. As a general rule, if you can do each move of a long route individually, you can probably link it together. Thus, projecting a sport climb involves linking moves. In bouldering, the focus is just doing the moves. 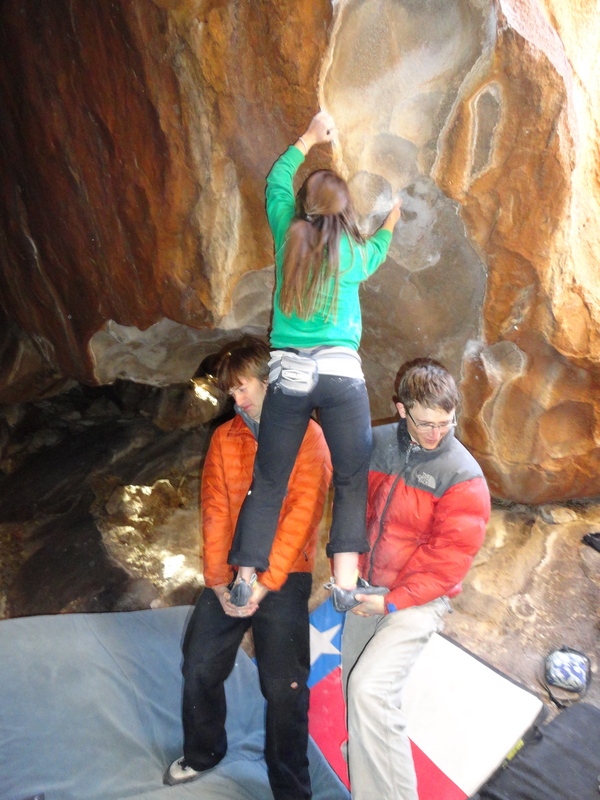 Consequently, the moves on a boulder problem are more challenging than those on a route. To make matters even more difficult, you can’t work moves while bouldering. 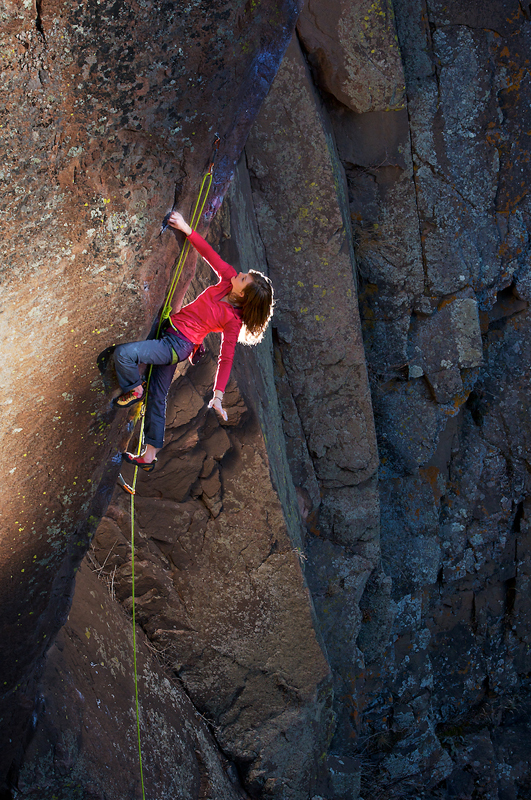 There’s no pulling past a crux or starting mid route. Typically, working a move means starting from the ground every single time. The bad news: You might not even be able to feel the hold you’re going for, let alone know whether you’re capable of the move. The good news: If you stick the move, you probably started from the ground so you keep going, hopefully send, and never have to do that move again. This process applied to Snake Charmer, the boulder I was most proud of accomplishing on my trip and which I got to work with Sam Kelly, who is incredibly inspiring to climb with. I couldn’t imagine myself getting through the slopey arete crux, until I found myself shaking on the final moves to the top out. Sam sent as well, and we felt empowered by our highball accomplishment for at least ten minutes. One last example further disproves all the notions I had formulated over my twelve years of climbing. I thought I had reached a point where I rarely got scared sport climbing. This was too bold of a statement, as I spent a day sport climbing in Hueco (true) and was utterly terrified. One route in particular drew me in, When Legends Die, a 1987 Todd Skinner route, which held the spot as one of America’s hardest sport climbs at the time (5.13a). To put it mildly, this route is stunning. It’s long (take a 70m rope), exposed, bouldery/steep/slopey at the bottom, technical/slabby/crimpy at the top, and runnout the entire way. Simply having the opportunity to climb on this historic route (thanks to a willing adventure guide, Chris Dye, and belayer/beta solver, Seth) was an incredible experience. I struggled with the bottom of the climb, which traverses right through big moves on alternating positive and slopey huecos. After taking a few test falls to gain confidence on the rumored deteriorating bolts (which are fine, save the first one, which you don’t really use), I worked through the bottom boulder, with Seth’s help, and into the incredible headwall. Let’s just say that if this were a relay, Seth and I would have sent that rig. Needless to say, I will be returning to finish up Legends some day, and maybe a few boulders as well. *Note 1: I normally don’t like to talk about route beta as I think it gets boring. However, since very few people ever try this route, and it truly is one of the coolest 5.13s I’ve ever been on, I’m hoping someone else will get inspired to give it a go. 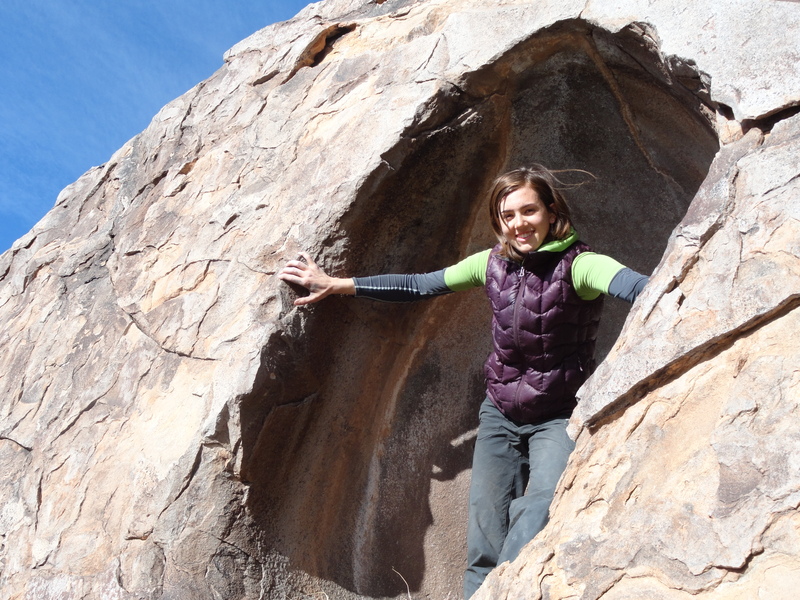 *Note 2: I certainly made a lot of generalizations about bouldering vs. sport climbing here. I know that some boulder problems are just as long as routes and require the same amount of resting and chalking. 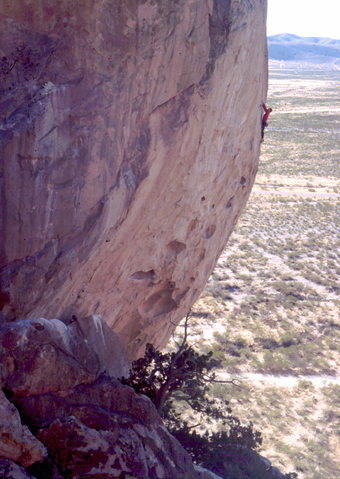 These were my experiences in Hueco, but there are of course many exceptions. Do you know anyone that’s climbed ‘When Legends Die’ without rope? Grace, When Legends Die is a bolted sport route, I don’t think anyone has tried it without a rope. It’s a 30 meter route above a 200 foot drop off and is quite steep and bouldery at the bottom and very thin at the top, so it doesn’t seem plausible that someone would try to solo it. But who knows, maybe some day. As a recovering sport-climber myself, I constantly struggle with a lack of success on boulders. Thanks for the great insight! …but falling onto pads still really scares me. Thanks for making Mom happy! Great post! That route looks amazing! Great post and inspiring description of When Legends Die! Definitely made my palms sweat, and I think I’m gonna get on that thing next time I’m in the Tanks! Great observations. Am not good at either power or endurance. But it’s sure fun to keep on trying.